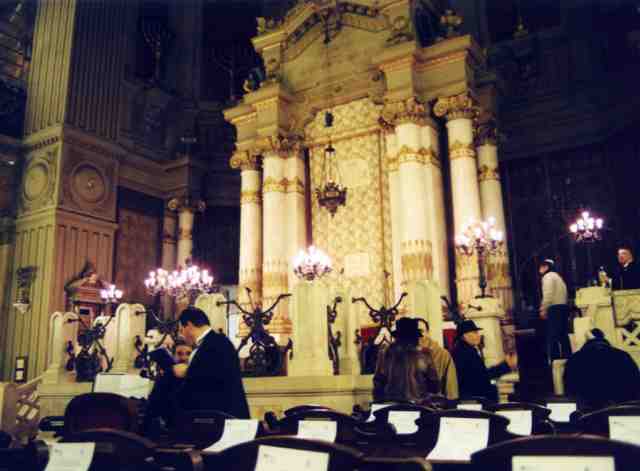 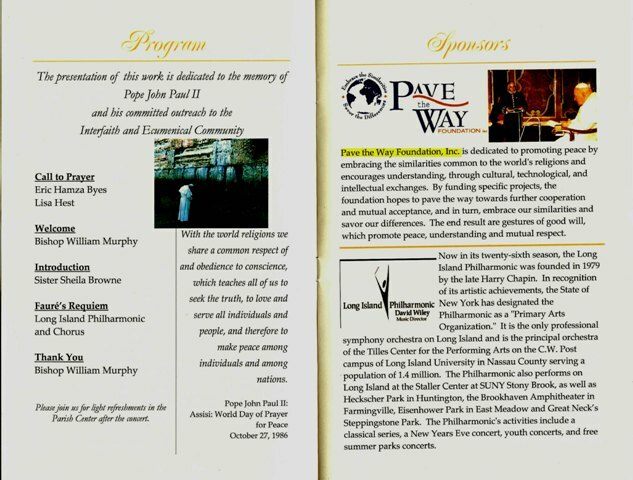 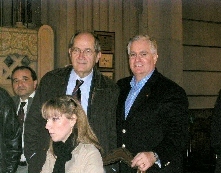 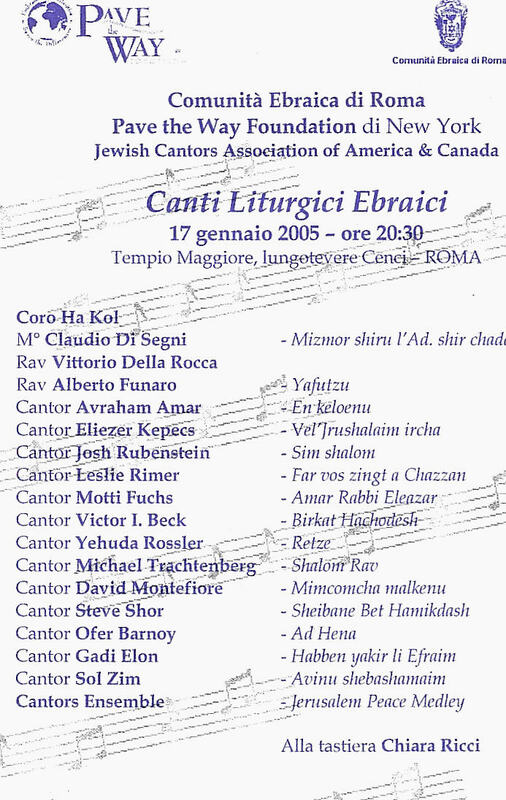 14 of among the most prominent cantors in the world gave the first concert ever for the Roman Jewish community, members of Pave the Way Delegation and special guests from the Vatican, at the great Synagogue of Rome Jan 17, 2005. 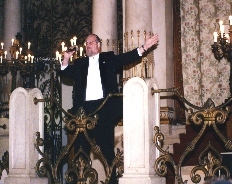 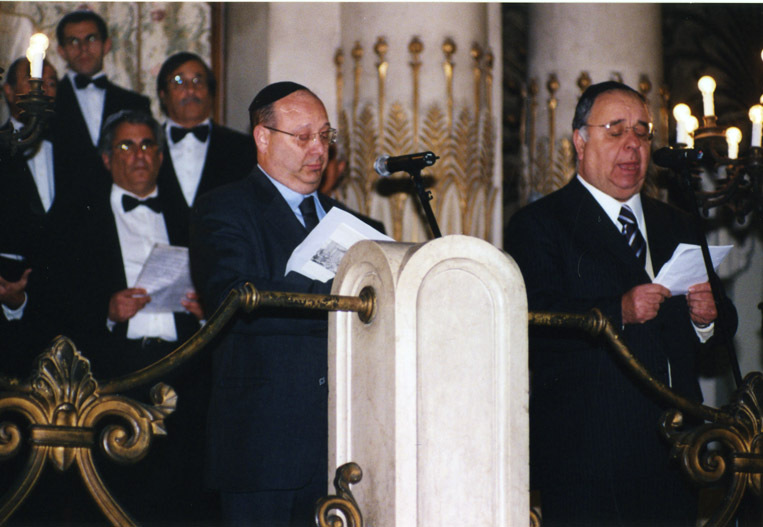 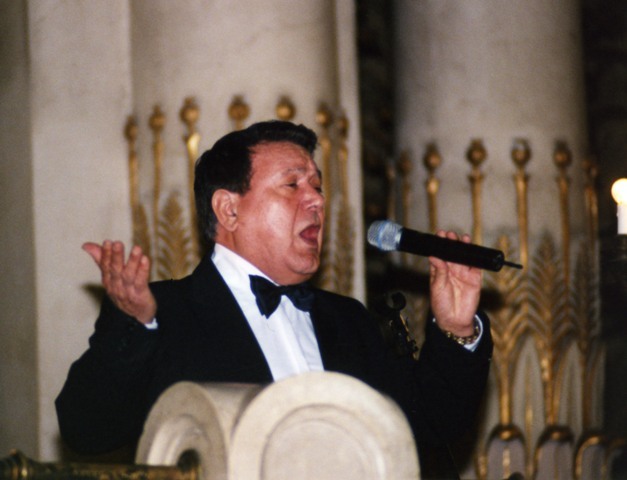 Ashkenazi Cantors chanted magnificent Hebrew blessing to the Sephardic Roman community. 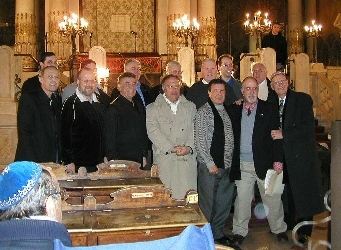 This event, sponsored by PTWF was the first Concert ever in the 100 year history of the Great Synagogue in Rome.